Mindhunter first came to Netflix just over a year ago and left quite the impression. Fans have been clamoring to know when the Original crime-drama is set to return for season 2. Here’s everything we know so far for Mindhunter season 2. Mindhunter is a crime-drama that takes place in the late 1970s In the early days of criminal profiling and criminal psychology at the FBI. The series revolves around the exploits of FBI agents Holden Ford and Bill Tench. The pair set out to interview convicted mass murderers in the hope of understanding what lead them to carry out their crimes and to learn from the interviews and to apply them to ongoing cases. 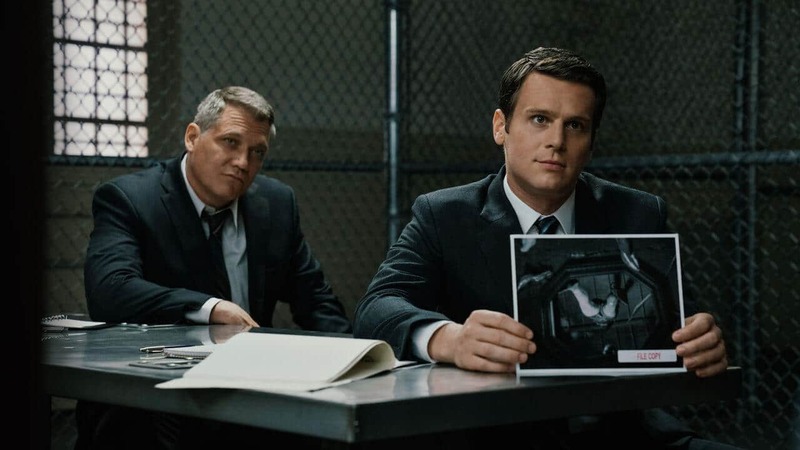 The shows take inspiration from the true crime book Mindhunter: Inside the FBI’s Elite Serial Crime Unit. The book was written by John E. Douglas and Mark Olshaker. John was a real-life FBI agent and is the inspiration behind the character agent, Holden Ford. David Fincher and Charlize Theron are both executive producers of the show. Both are known for their work on movies involving serial killers. What happened at the end of Season 1? Thinking he was immune to the toll of the interviews as he coerced and ‘befriended’ the killers for more information it wasn’t until his final confrontation with Ed Kemper that hit Holden with the realization just how little control he has resulting in a Nervous breakdown. The ADT killer was unable to kill the victim he had selected and burned his notes on the would-be victim and their property. What will the plot of season 2 be? It is highly likely we will see a more nervous Holden after his confrontation with Kemper. Having had a nervous breakdown we won’t be seeing the same arrogant and confident agent we had before but a more guarded and cautious. With the break up between him and his partner Debbie we’ll most likely see a more vulnerable Holden. Whether or not they will reconcile remains to be seen. The focus will remain on the interviews of the killers as they conduct their research into criminal profiling. Inbetween these interviews both Holden and Tench will be assigned to try and solve cases involving potential serial killings. As Holden is based on real-life FBI agent John E. Douglas it is publicly known that he as also spoke to serial killer Charles Manson so we could expect Manson to make an appearance this season. After an interview with Billboard, it has been revealed that one of the narratives of the season will be a focus on the Atlanta Child Murders. The ADT killer is likely to make an appearance and once he starts racking up the numbers of victims it won’t be long before he attracts the attention of agents Holden and Tench. Who else has been cast? Hannah Gross is yet to be confirmed to reprise her role as Debbie Mitford. Fan favorite Cameron Britton is also yet to be confirmed to reprise his role as Ed Kemper. Sam Strike will be reprising his role as Montie Rissel in the second season. Meanwhile, If the rumors are true as it has been reported at Collider then actor Damon Herriman will be the actor portraying Charles Manson. As he has also been cast in the upcoming ‘Once Upon a Time in Hollywood’ in the very same role it is up for debate if he will be portraying the role twice. Netflix is yet to comment on the matter but it has been acknowledged by IMDb. Where is the production up to? Filming has begun on the series but Netflix has not revealed any set photos or official stills of season two just yet. At the there is no trailer but with production fully underway we would hope to see a trailer soon! 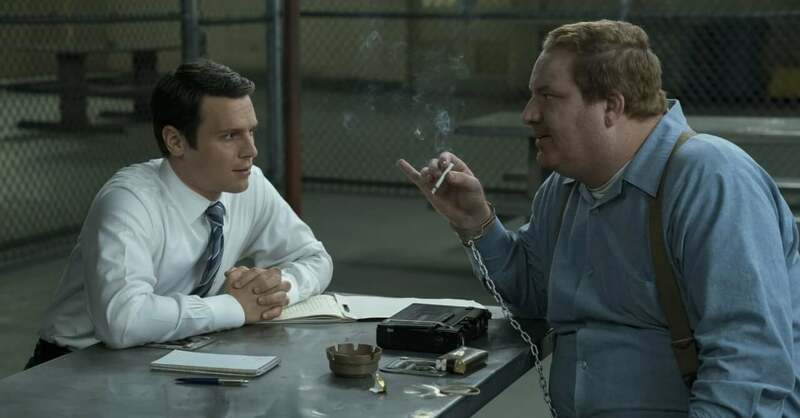 Are you excited for season 2 of Mindhunter? Let us know in the comments below! Next story When will Season 1 of ‘Legacies’ be on Netflix? Previous story When will ‘Ralph Breaks The Internet’ be on Netflix?